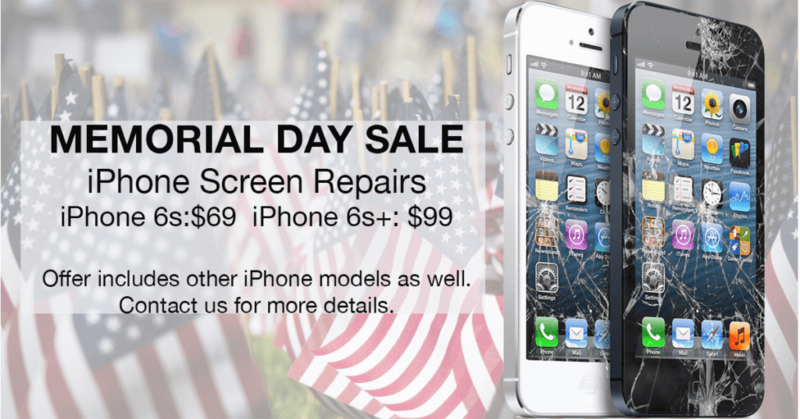 Discounted iPhone Screen Repairs from as low as $49! Don’t forget to take advantage of our Memorial Day Sale running throughout the week for all iPhone users! Redeem this offer by showing this image to your local Fix It All or Talk N Fix technician at your nearest location. Have more questions? Feel free to contact us here.